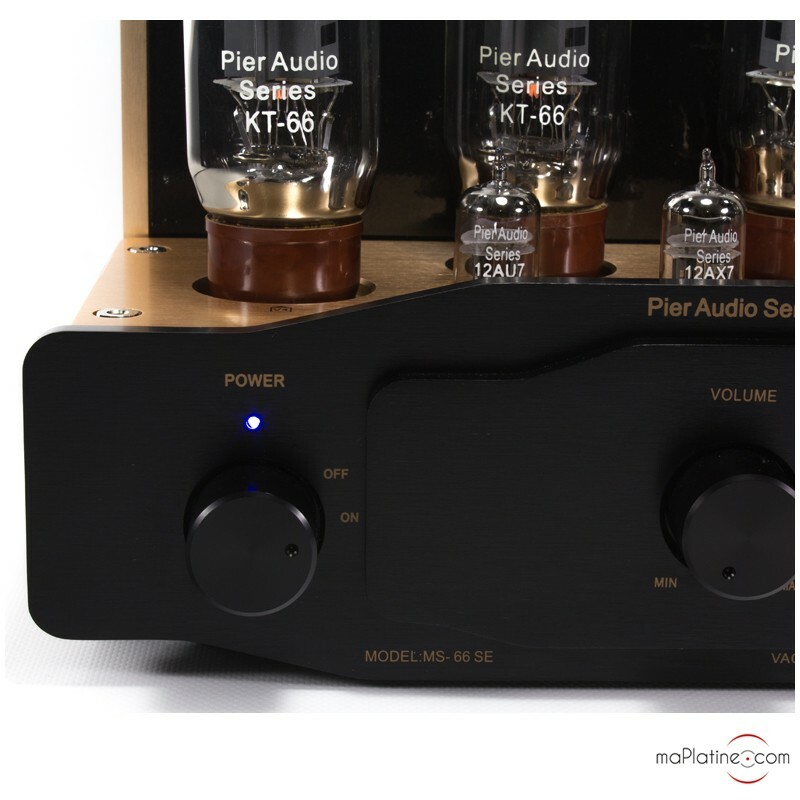 The Pier Audio MS-66 SE vacuum tube integrated amplifier is an all “vacuum tube” integrated amplifier that, despite its remarkable performances, is available at an affordable price. The chassis is very solid. 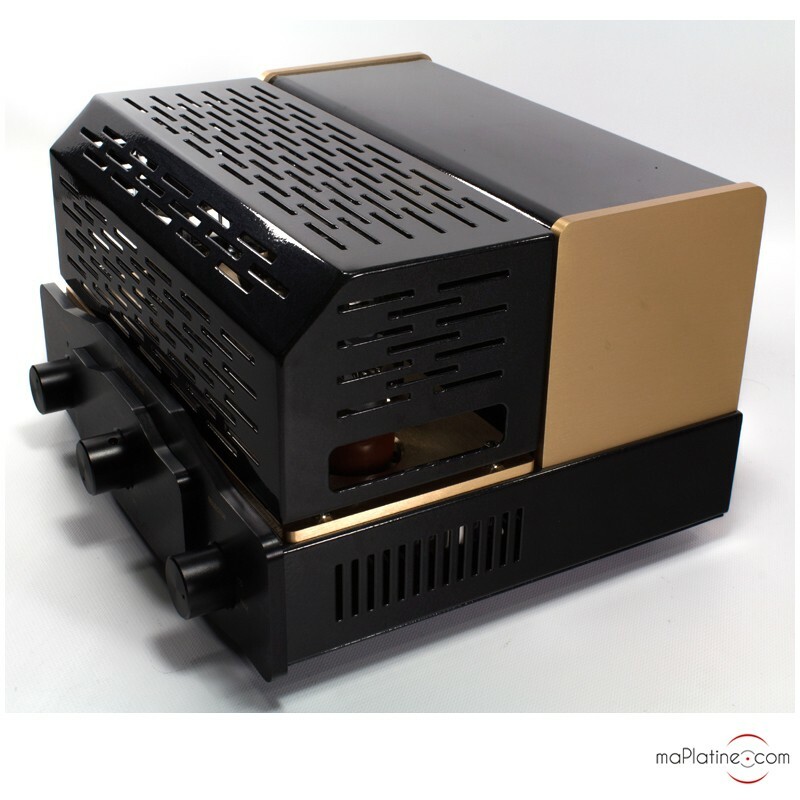 Even though this integrated amplifier is compact, it nevertheless weighs 23kg! On the left side of the front panel there is a Power On/Off selector and on the right side there is the source selector. In the centre there is a volume potentiometer. 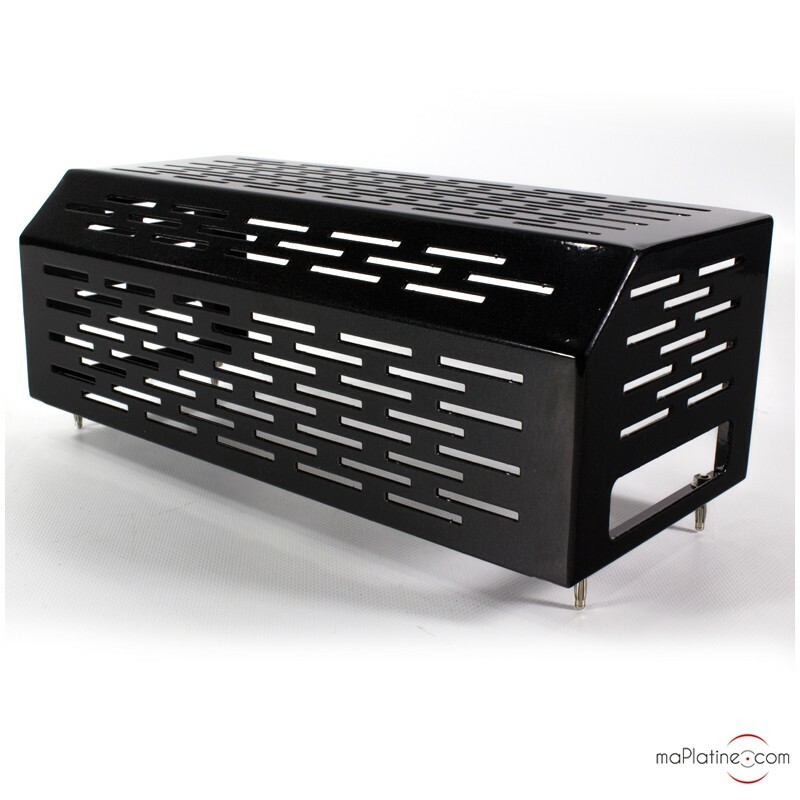 The front panel is well manufactured and is in black anodized aluminium with gold silkscreen printings. 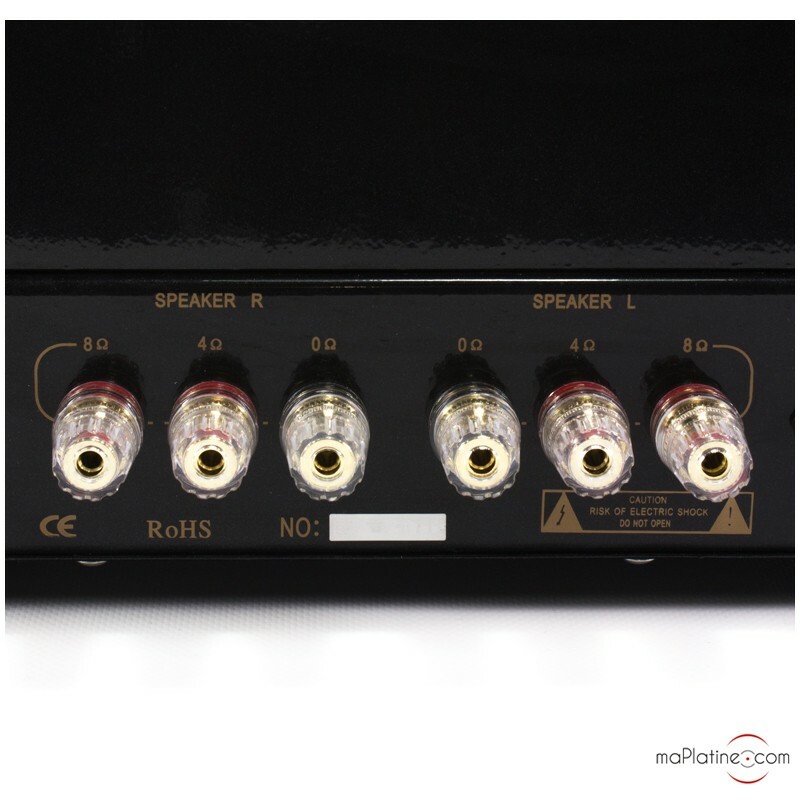 The back panel of the MS-66 SE has two RCA inputs. These are of high quality and are screwed to the chassis. 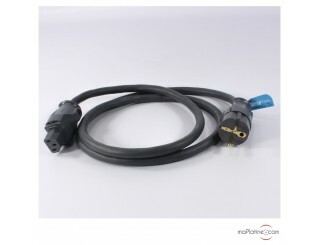 The speaker terminals are of nice quality and provide a connection for large section bare wires, banana connectors, or forks. The terminals provide a specific connection in 4 or 8 ohms. 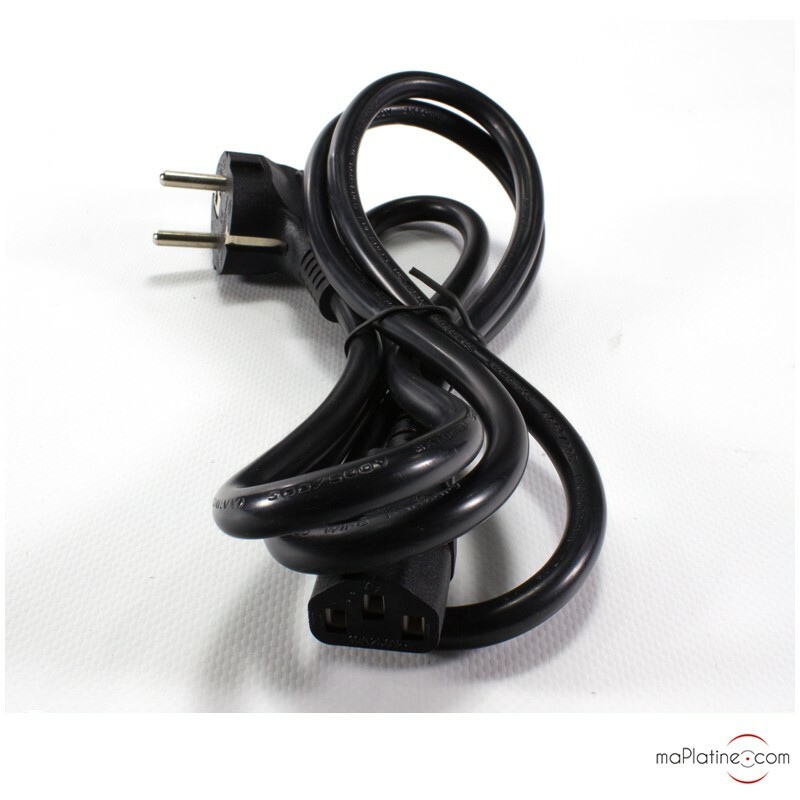 The IEC power input provides a connection for a high quality power cable. 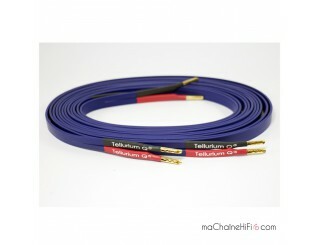 We obtained good results with the Supra Lorad 2.5 Silver 10A power cable. 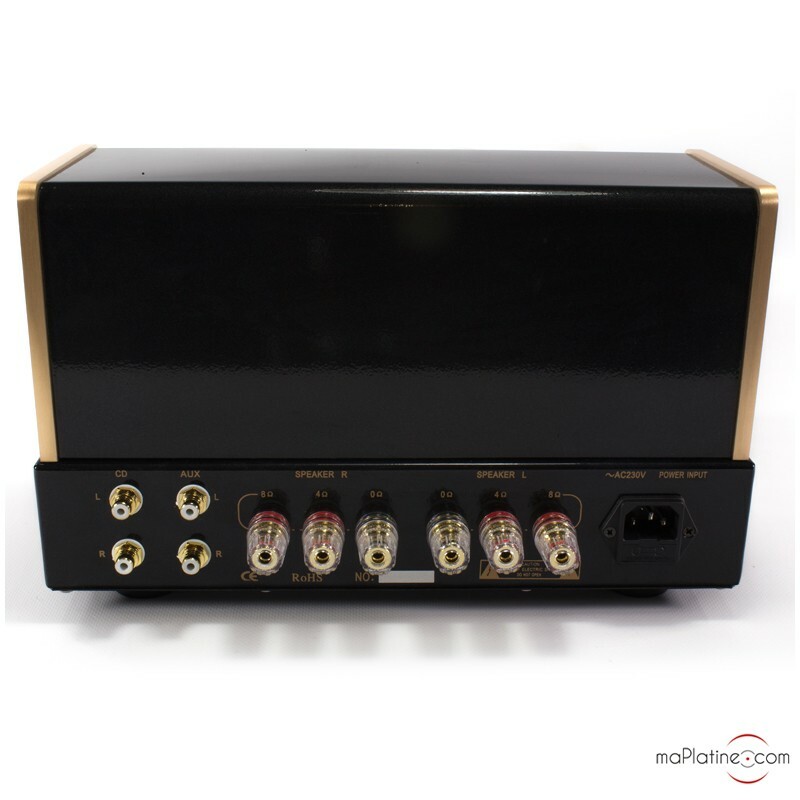 This Pier Audio MS-66 SE integrated amplifier has a comfortable power of 2 x 30 W which, combined with its current capacitance, enables it to power the majority of midrange Hi-Fi speakers. This Pier audio is a small “bundle of nerves”! Indeed, it easily and vigorously powers Hi-Fi speakers, even the ones that are known to be hard to drive. The power stage is handled by a KT66 Push-Pull. These days, this mount is relatively rarely used, even though it was made famous by Quad, an Anglo-Saxon company, in the mid 60’s. We prefer the KT66 and KT88 mounts to the EL 34 mount which generally offers a less dynamic and poorer sound restitution. 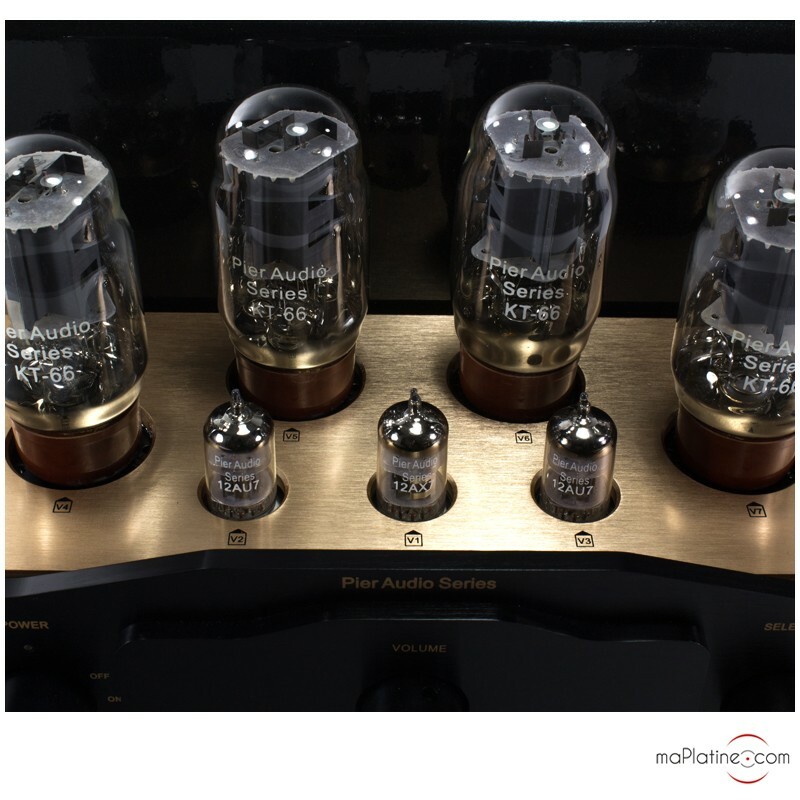 The input tube is a 12AX7 (ECC83) and the drivers are 12AU7 (ECC82). 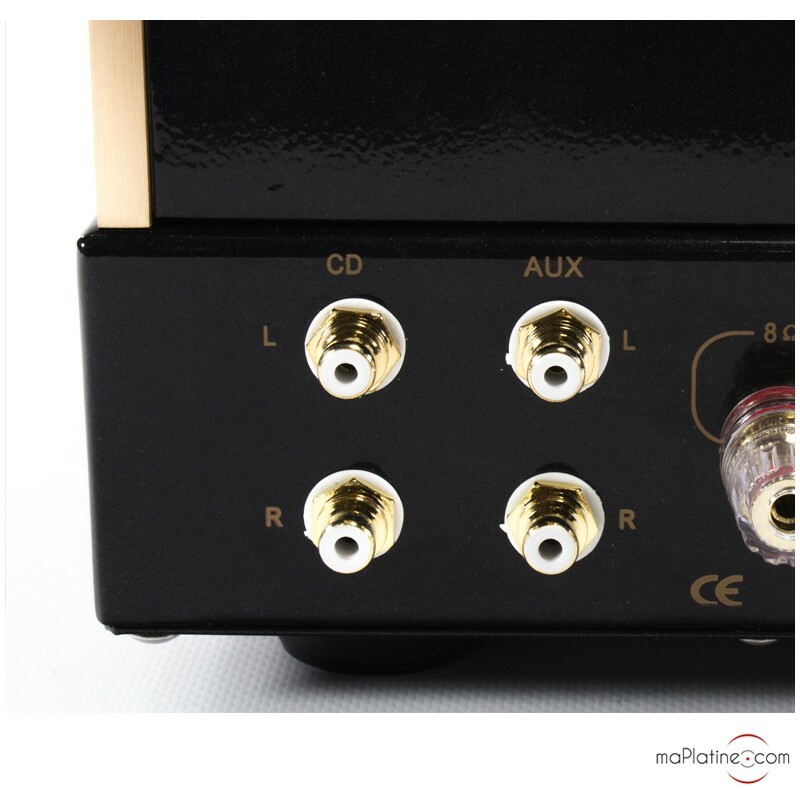 We connected this integrated amplifier to the ASA Monitor Baby bookshelf speakers and to the Focal Sopra 2 tower speakers using Tellurium Q Ultra Blue speaker cables. 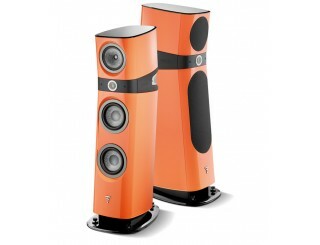 The sound is completely in correlation with Pier Audio’s philosophy. It favours dynamics, swing, and substance. We are far from the surgical and analytic sound of some competing products. On this MS-66 SE integrated amplifier, we can find the qualities of English amplifiers from the mid 60’s, but with a superior transparency. The tonal balance, which is a bit flattering, is a success and clearly favours the musicality. 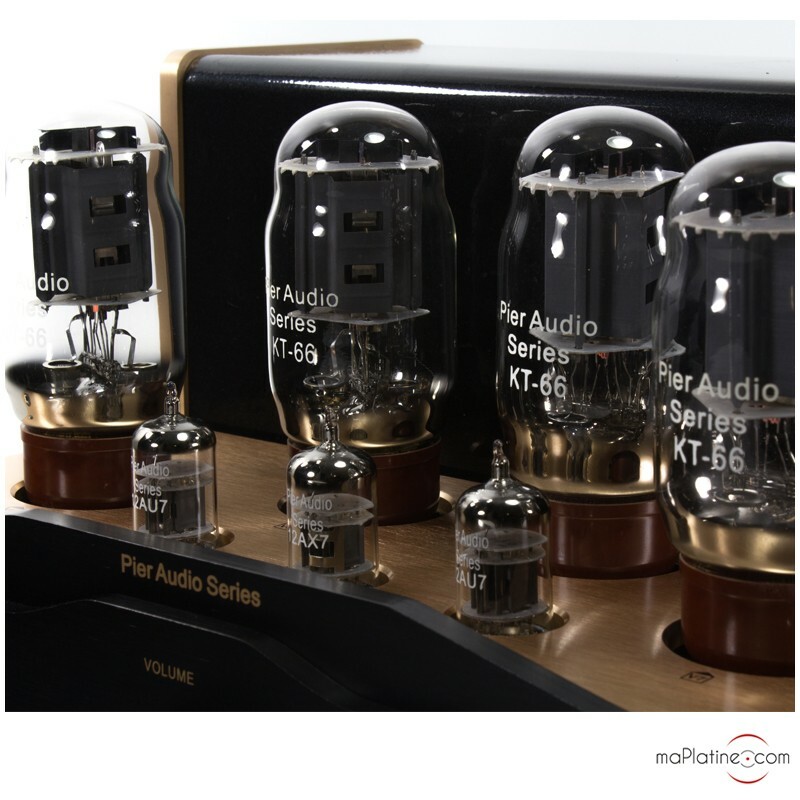 The voices and the strings particularly show the qualities of this vacuum tube integrated amplifier. 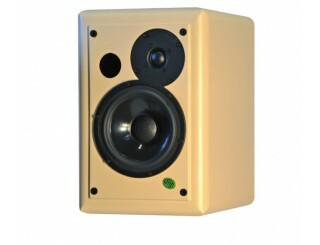 This MS-66 SE favours musicality and mainly substance and depth. 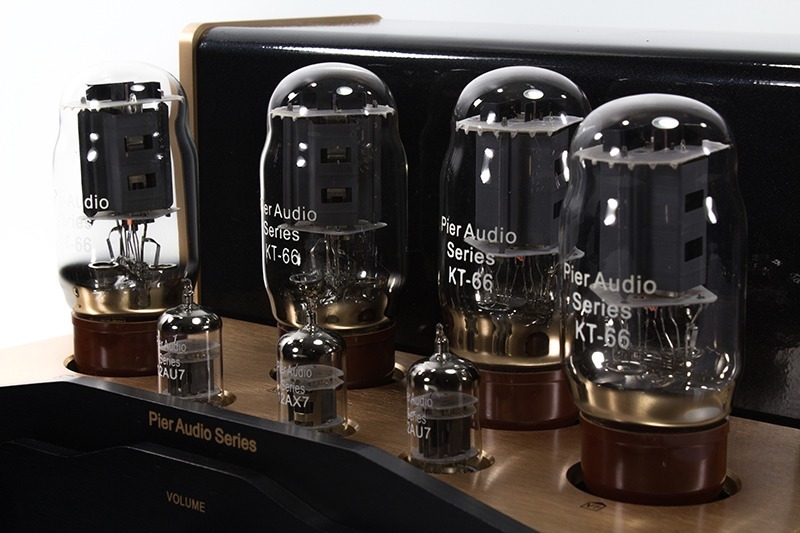 The Pier Audio MS-66 SE vacuum tube integrated amplifier is perfectly though out to meet the demands of nostalgic music lovers of true “vacuum tube” sound. It will also delight those looking for an amplifier that counterbalances the analytic and cold sound restitution of digital sources. 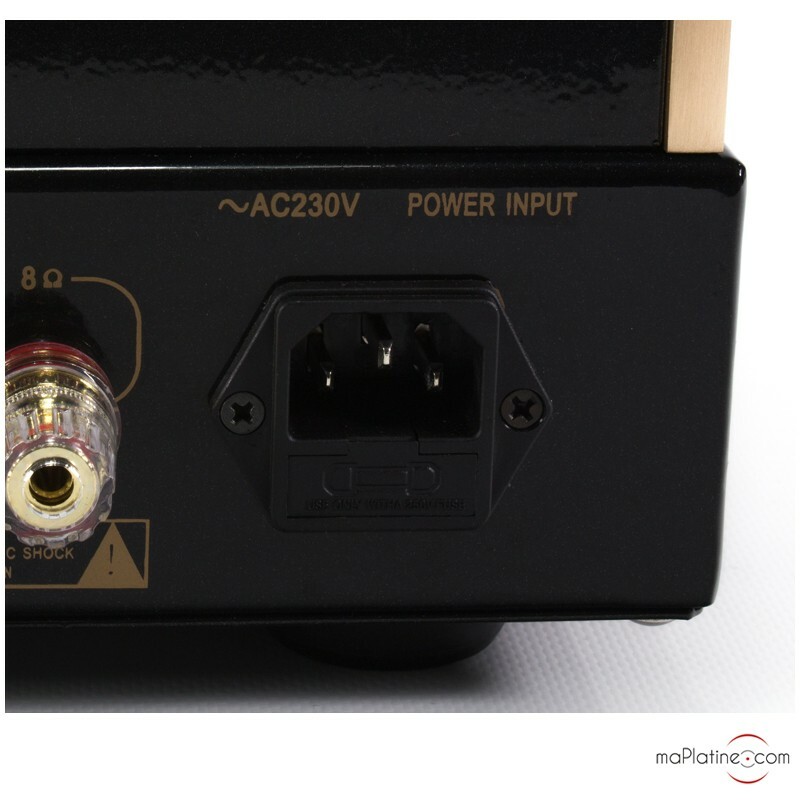 At this price, this integrated amplifier has few competitors, if any!